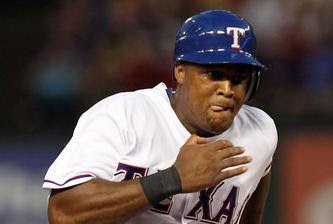 Rangers third baseman Adrian Beltre reinjured his hamstring on Saturday during a running session. See? I knew nothing good comes from running. Sitting, you don't get hurt sitting. Beltre has been on the disabled list since July 23 and will miss an additional three weeks after an MRI showed he did more damage to the hamstring. The new Ranger was having a pretty typical Beltre season in his first year at hitter friendly Arlington Park. He has 20 home runs and a .276/.318/.505 line to go with his dynamic defense at third. 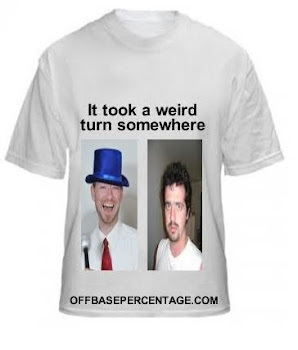 Beltre's 3.9 fWAR (Fangraphs wins above replacement) is second on the team behind Ian Kinsler. The Rangers are clinging to a two game lead over the Angels and the loser of the AL West isn't winning the Wild Card. If the Beltre is out any longer, the Rangers could be on the ropes. Josh Hamilton is back and playing well but Nelson Cruz has only hit the disabled list once this season so the Rangers organization better block off part of their day to knock on wood.